‘s not true at all. K Jo has taken fancy to this hunk of a model, Sidharth Malhotra who moved from Delhi to Mumbai to try his luck in films. Now this good-looking guy is in K Jo’s core team. In fact in all the Karan Johar + Varun Bahl shows – In VanHeusen India Mensweek and in HDIL Couture Week, Kjo’s new love, Sidharth Malhotra opened and closed the shows. Next Next post: Who would succeed Lagerfeld at Chanel? K jo’s has mastered the art of the Casting couch …..
god! should have tried my luck !!!!!!!!!!!!!!!! This too may be wrong. Hahahahahahahahahahaha @ lol. There is no wife , no kids . Trust me – She (Karan) was all over a guy in China House – grand hyatt some time back. Just now got the name. first things first you got the spelling of his name wrong..
and ya anonymous.. wats with the Loser tag ya.. grow up..its shallow how you could speak about someone you barely know..
also not to forget the funny one here (lol) how do you know so much- were you the one knocking n sayin ” Room service” !!! hate it when some dweebs talk trash about my friend! I have made the necessary corrections on SIDHARTH’s spelling and the fact first brought to my notice that the Director Siddharth Malhotra is a different, much married guy. I have made the corrections on the post. Sorry for the incorrect facts. Am glad you corrected it. Strange that both Siddarth Malhotra’s have a connection with K Jo. Siddarth, the director (VERY DECENT MAN) made We are Family produced by K.JO, and the other Siddarth is his chosen lead showstopper. I mean..is really the latest toy boy of K. Jo….? I thought K.JO was more interested in Bombay Boys (pun intended)…! The fact is that he is screwing him. Karan just come out of the closet. Let him become the daughter in law of your house. What’s stopping you’ll both????? Guess Kjo is bringing his boy out, check this link http://entertainment.oneindia.in/bollywood/news/2010/karan-johar-shahrukh-varun-sidharth-launch-261110.html, this boy is making his debut! Awsum job by you for being so correct!! Pingback: Introducing Karan Johar’s New BF! haii, poor chap, itna sundar and he has to sleep with that bhoot…. well i guess we all have to do what we have to do..
sidharth malhotra is gay and is in love with karan johar!!! these two are madly in love. they are a sweet gay couple. and offcourse, anybody would launch his boy friend. nothing wrong! There is a vast quantity of info on the blog you’ve started. With thanks. I quite much enjoy your webpage below, thank you so significantly you’ve got helped me out significantly Smile spread the love. Genuinely helpful articles. I enjoyed reading through it. Thanks for writing this blog and sharing it with all the globe. I would like to know ways to go for reading your rss weblog. Please let me know if probable. super cool! i like this post! would you mind if i shared? There’s a vast amount of facts on the weblog you’ve began. Thanks. Good posting. Really refreshing given all of the duplicate content material out there. Thank you for doing something original. There is a vast quantity of information on the weblog you’ve began. With thanks. I believed your post was cool and will stop by generally. This can be genuinely wonderful concept dude.iam genuinely proud of you . Nice post. I study something more challenging on completely different blogs everyday. It should all the time be stimulating to read content material from other writers and apply a bit one thing from their store. I’d desire to use some with the content material on my blog whether you don’t mind. Natually I’ll give you a hyperlink on your internet blog. Thanks for sharing. Hello there everyone. Need to firstly apologise. Not been right here for any lengthy time as my daughter has been really ill. Shes on the mend now. So I am back again and can need to attempt and catch up. Looking ahead to taking part once more. This sort of clever work and reporting! Keep up the wonderful works guys I’ve incorporated you guys to my blogroll. I must express my gratitude for your kind-heartedness for individuals who absolutely need guidance on this particular topic. Your personal dedication to passing the message across turned out to be certainly interesting and has specifically allowed guys and women like me to realize their ambitions. Your amazing helpful report can mean much to me and much more to my peers. Thanks a ton; from everyone of us. Everyone should take the time to post content articles as good as this one and not saturate the web with nothing.. but, Continue the excellent work!!! and, Thank you very much for the instructive blog posts this detailed infos very usefull! and then, I will share this with all of my friends. I believe this web site holds some real superb info for everyone : D.
I ought to admit that your post is really interesting. I have spent a lot of my spare time reading your content. Thanks a lot! just give me the Credit please! Absolutly great work here. I very love Your article. The important thing is that your website is great. Thanks for all your valuable efforts on this website. Debby delights in engaging in investigation and it is obvious why. We all hear all about the compelling tactic you render efficient secrets through the web blog and in addition foster participation from other ones on the point so my daughter is truly learning a lot. Take pleasure in the rest of the year. Your doing a really good job. 44. whoah this blog is great i love reading your posts. Keep up the good work! You know, a lot of people are hunting around for this info, you could help them greatly. I wanted to thank you for this excellent read:D . I definitely loved every little bit of it:D I have you bookmarked your site to check out the latest stuff you post. I’m really Glad i came across this site.Added it to my bookmark! I’d need to examine with you here. Which is not one thing I usually do! I get pleasure from reading a submit that will make folks think. Additionally, thanks for permitting me to comment! I’d need to check with you here. Which isn’t one thing I often do! I take pleasure in studying a publish that may make folks think. Also, thanks for allowing me to remark! WoW, awesome post! I will definitely come back again! It is really great thought dude.iam really proud of you . There is a vast quantity of details on the weblog you’ve began. Thank you. How to blog amazing thanks posting like this. That is definitely wonderful concept dude.iam definitely proud of you . I just found your website on Ask Jeeves, a definitely great read. Thanks for the article, do you have a mailing list? Thanks for another great post. Where else could anybody get that kind of info in such a perfect way of writing? I’ve a presentation next week, and I am on the look for such info. Really likable your air,Did he did you yourself? Thanks:D this is good stuff man!! Absolutely godawful idea. shameful. absolutely shameful. I am glad to be a visitant of this unadulterated weblog ! , thanks for this rare information! . Great post! Took my doubts! Very good this, I liked! Hello! I just wish to give a huge thumbs up for the great information you’ve gotten here on this post. I might be coming back to your blog for more soon. Hi! Entertaining page! Bye Bye! This is a really good article. It is always a pleasure to read quality content! Very very good post. I entirely agree with him. I will very frequently looked at this weblog. Yours sincerely. These blogs really should be as much as possible. I was very happy to seek out this net-site.I wanted to thanks on your time for this excellent read!! I definitely having fun with every little bit of it and I have you bookmarked to check out new stuff you blog post. Do you mind if I quote a couple of your articles as long as I provide credit and sources back to your site? My blog site is in the very same niche as yours and my users would really benefit from a lot of the information you present here. Please let me know if this okay with you. Cheers! Cool blog it good idea. actually like the article that you have written actually. Your site looks great! Love the blog…. I have to say I think you do an amazing job. OMG!!! I love that a lot. I wish I couldn’t have done that!!! Lovely blog. Thanks for nice post. Thanks for making this blog fantastic, I truly value all of the hard work that you do on this site. Thank you so much for providing individuals with an exceptionally nice possiblity to check tips from here. It’s usually very awesome and full of a good time for me and my office mates to visit your web site minimum three times in a week to find out the latest guides you have got. And indeed, I’m also at all times satisfied for the perfect suggestions served by you. Certain 3 tips on this page are surely the simplest I have ever had. Thanks for the handy info. Brilliant stuff! I as a general rule don’t comment on these but I thought you did a actually nice job and I’m sure other folks feel the exact same. this blog is very niche of article. thanks for excellent site ! Thanks for the good news to know that you bring a good publisher. Amazing hints with this web page. It is rare currently to discover web with information that you are researching. So i am glad I found blog. I will really bookmark it as well as signup to the rss feeds simply to get updated on your new content. Continue the great job and i’m sure another anyone that looking for valued information can certainly stop and use your site for resources. Great blog. Check out mine. Hi, I have recently been viewing your current web site for quite a while now and enjoy to examine your current articles. Simply just wished to grant you some feedback for this one. I do think that any one might profit from this particular if it’s used properly. Fine, expect you produce some more superb content rapidly. I’ll subscribe to your feed and visit the next day. Hey – great weblog, just looking around some blogs, appears a pretty nice platform you are using. I’m currently utilizing WordPress for a couple of of my sites but looking to change one of them over to a platform similar to yours as being a trial run. Something in specific you’d suggest about it? Hey very nice website!! Man .Beautiful .Amazing .I will bookmark your site and take the feeds also…I’m happy to find a lot of useful info here in the post, we need work out more strategies in this regard, thanks for sharing. Wow, superb blog layout! How long have you been blogging for? you made blogging look easyThe overall look of your web site is great, as well as the content! I was just searching for this information for a whileAfter six hours of continuous Googleing, finally I got it in your siteI wonder what is the lack of Google strategy that do not rank this type of informative sites in top of the listNormally the top websites are full of garbage. First of all I want to say fantastic blog! I had a quick question in which I’d want to ask in case you do not mind. I was interested to search out out how you center yourself and clear your mind prior to producing. I’ve had a hard time clearing my thoughts in receiving my thoughts out. I do cherish producing however it just appears to be like the first 10 to 15 minutes are almost always wasted easily just making an attempt to figure out how to begin. Any tips or hints? Appreciate it! I would like to thnkx for the efforts you have put in writing this siteI am hoping the same high-grade website post from you in the upcoming alsoActually your creative writing abilities has encouraged me to get my own website nowActually the blogging is spreading its wings fastYour write up is a great example of it. Came by to read this again…… and add it to my favorites! Thanks for posting this. Found you via google. Have a great day! I’ve read a few just right stuff here. Definitely value bookmarking for revisiting. I surprise how much effort you place to make one of these wonderful informative web site. You could definitely see your enthusiasm in the work you writeThe world hopes for even more passionate writers like you who aren’t afraid to say how they believeAlways follow your heart. Just wanted to say hey and let you know that I think your blog site is awesome. I’m mainly a sports forum & gambling portal guy myself, but really enjoyed reading your posts. Keep up the great work! And if you post my comment with the current anchor link – links left in place, I’LL SUBMIT YOUR BLOG OR WEBSITE URL OF YOUR CHOICE TO OVER 625,000 SEARCH ENGINES, DIRECTORIES, AND FFA PAGES FOR FREE, and YES FOR FREE AS A THANK YOU FOR POSTING THIS COMMENT ON YOUR TERRIFIC BLOG. All I ask in return is that you post this comment without removing or changing anything. If you decide to post this comment please send me the URL you would like submitted to the 625k search engines to my email “submitme at trafficshock.com” and I’ll usually get to it within 48hrs and email you back the complete submission report for your URL. Thanks , I have just been searching for info about this topic for ages and yours is the best I have discovered so farBut, what about the conclusion? Are you sure about the source? I’m impressed, I need to say. Really not often do I encounter a blog that’s both educative and entertaining, and let me let you know, you’ve got hit the nail on the head. Your thought is outstanding; the issue is one thing that not enough people are talking intelligently about. I’m very glad that I stumbled across this in my seek for something referring to this. This awesome blog is definitely cool and factual. I have discovered many interesting stuff out of this blog. I’d love to visit it over and over again. Thanks a lot! I’ve read some good stuff hereDefinitely worth bookmarking for revisitingI wonder how much effort you put to make such a wonderful informative web site. I’ve been absent for a while, but now I remember why I used to love this website. Thank you, I will try and check back more frequently. How frequently do you update your site anyway? no Matter I will be back just the same keep up the nice work..
Amazing blog! Do you have any hints for aspiring writers? I’m planning to start my own website soon but I’m a little lost on everything. Would you advise starting with a free platform like WordPress or go for a paid option? There are so many options out there that I’m completely confused .. Any tips? Appreciate it! Once whenever blog page reading became a big hobby of mine, but I simply got bored after performing it for long. Nowadays, I simply tend to go through the pictures and also the headlines in addition the subheadings, but stumbling here makes me go through this page, and I was grateful, seems like many thanks to you, my weblog reading interest has came back. Good ! Trulyamazingly fancy, thankyou. Very nice Thank you very much an issue I follow. This blog is totally awesome!In fact i love it so much,that i simply want to make a quick offer for everybody visiting it.You must know that in the world of Internet Marketing,everyone seeks fast results,wants to make some fast cash and overall wants dream life,but often the key element is missing and it is one word- SEO.Without proper SEO strategy,your dreams are over,your flat stays the same and no one will even know,that you have a business online.So do yourself a favour and check out my signature.Yes,it is that easy and i guarantee,that you will get results even for only $5!!! Hi there. Actually liked perusing your post. It was especially enlightening and effective. I trust it’s ok with you if I do some writing about this article on my personal blog. Will definitely link back to you. Really like your theme! Your sharing is appreciated. My partner and I absolutely love your blog and find most of your post’s to be just what I’m looking for. Would you offer guest writers to write content for yourself? I wouldn’t mind publishing a post or elaborating on most of the subjects you write regarding here. Again, awesome weblog! Greetings! I’ve been reading your site for a while now and finally got the bravery to go ahead and give you a shout out from Houston Tx! Just wanted to mention keep up the excellent job! Excellent post. I was checking constantly this weblog and I am inspired! Extremely useful info particularly the remaining section 🙂 I deal with such info much. I used to be seeking this certain info for a long time. Thank you and good luck. 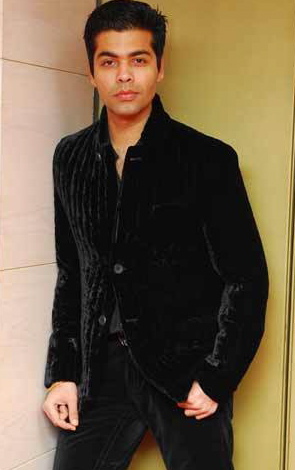 It has long been looking for an article on Karan Johar’s latest Toy Boy | Fashion Scandal , thanks for the article. SRK lost his girlfriend !